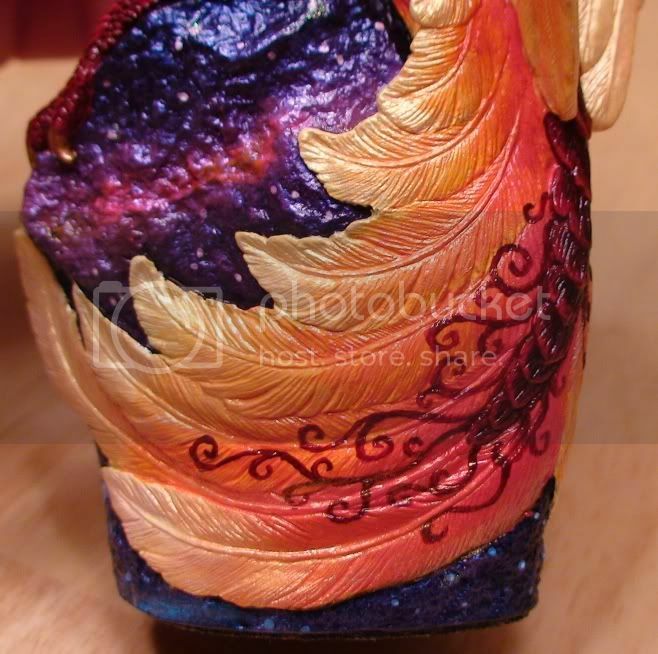 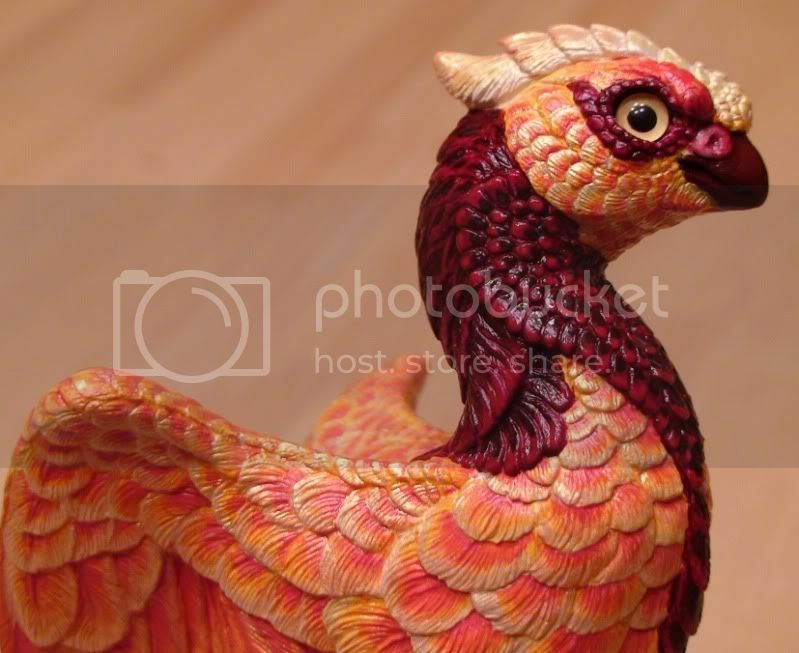 Celeste is a Phoenix painted the traditional colors of a Phoenix: the colors of flame. 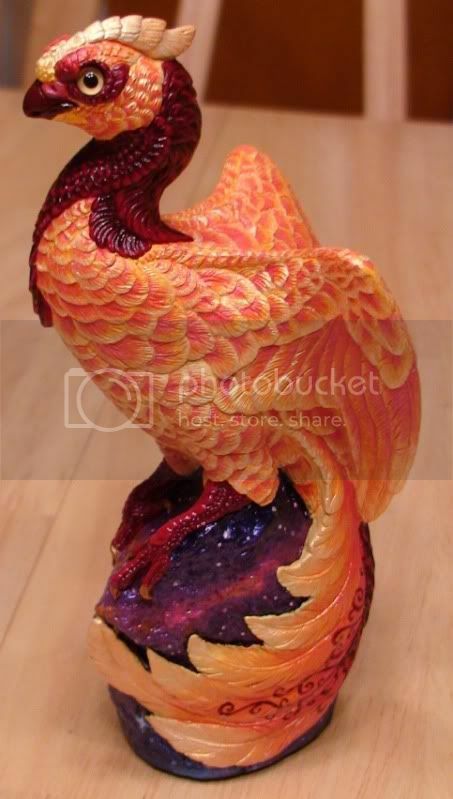 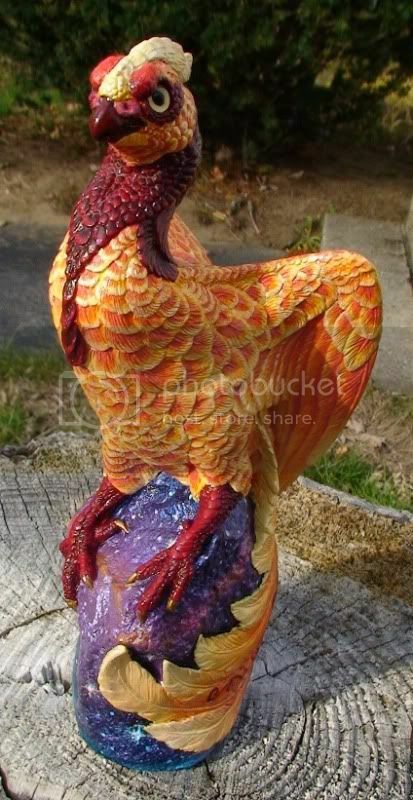 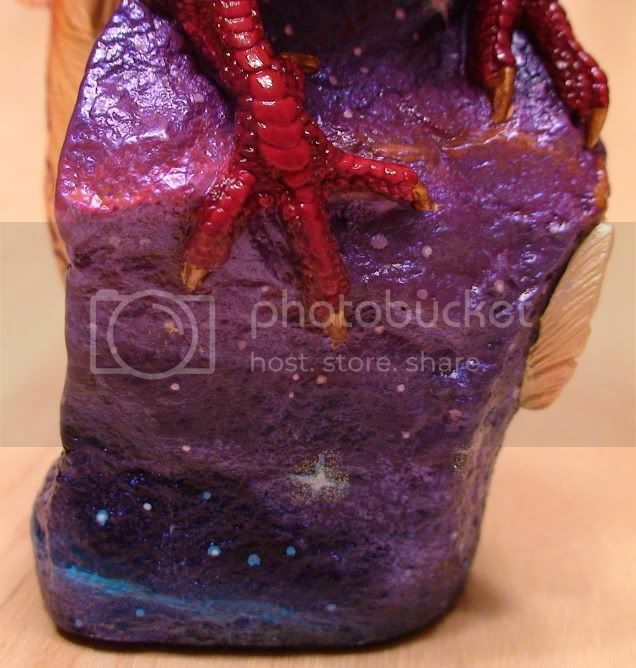 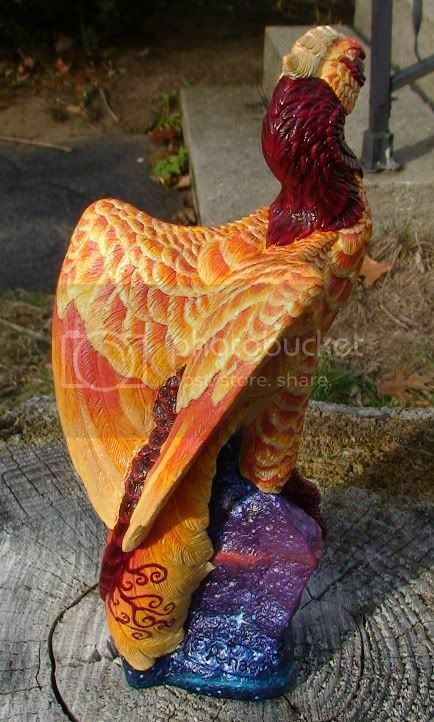 She sits on a rock that is painted like a celestial sky (hence the name), and each of her feathers has been edged with gold interference to really make her sparkle. 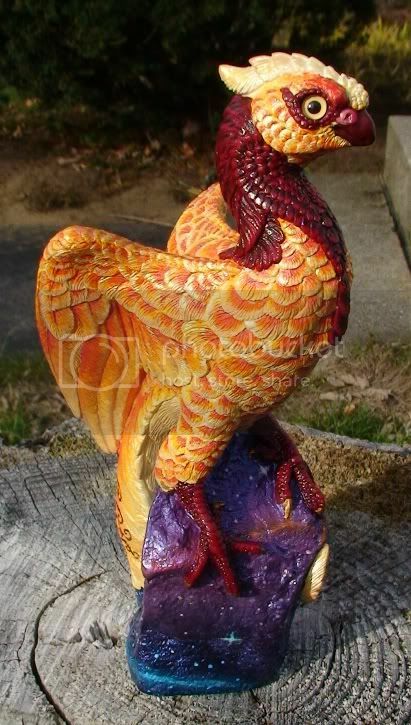 Celeste is OOAK and has been sold, but I am not against taking certain aspects of her and creating a brand new scheme.